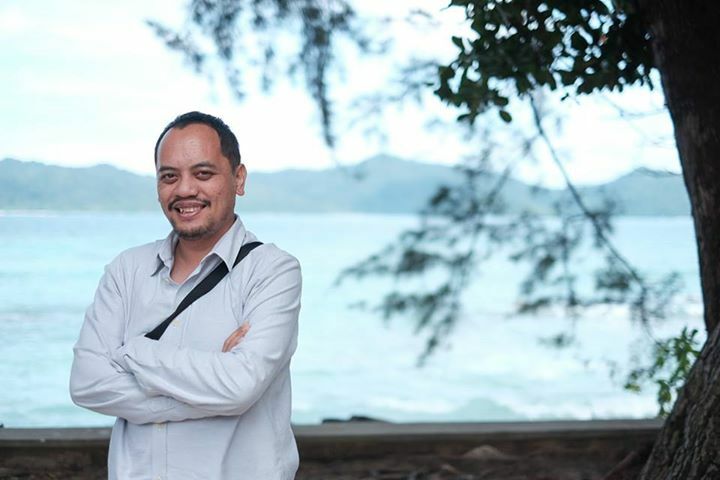 A portrait of Rano during a special meeting at Manukan Island, Sabah. 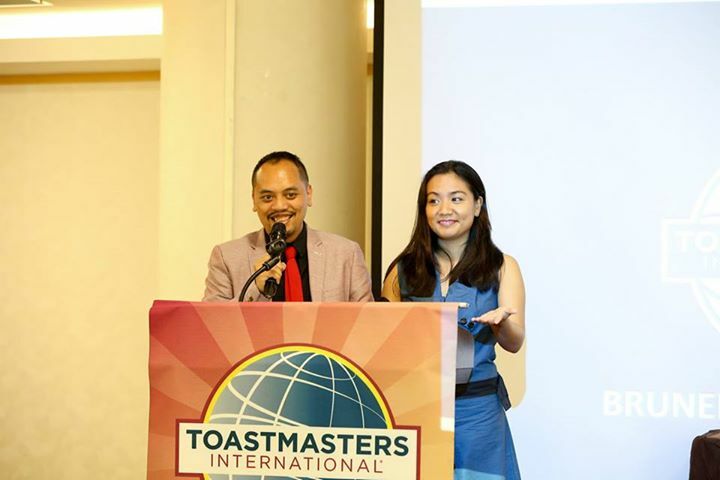 Besides being Brunei’s No.1 Social Blogger, Rano is an active Toastmaster. 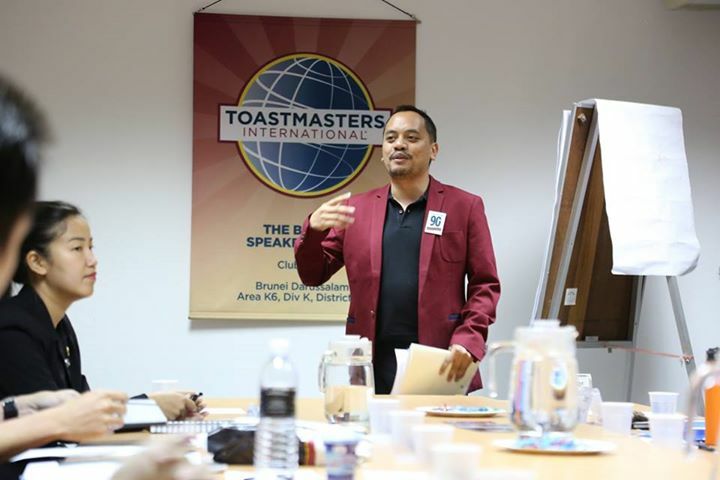 While he is a member of The Brunei Speakers’ Club, he is known to make regular visits to every other Toastmasters Club in Brunei; The Brunei Advanced Speakers’ Club, UBD Toastmasters Club and OTTERS Toastmasters Club. His enthusiasm and jovial spirit has always brightened up every meeting he attends. I cant recall how it happened. It must have been from Clovis Lai, the founder of Brunei Speakers’ Club, and I attended a meeting where his son Tazio was giving his speech. You were a member once but stopped for a long time. Why did you re-join Toastmasters? I rejoined back because I finally learned about my core value and that is contribution. Contribution back to the community to aspire them to be a better individuals in terms of leadership and confidence. All in all, it will be one and a half years though I have been a regular guest prior to joining. It has helped me to be compassionate towards others especially those who are new and lacking the self-confidence within them. Toastmasters is a great reminder for me to practise my tools of empowerment and show up as a leader. My process is simple. Speak from the heart. I am not a big fan of script writing but the further I progressed, I realised the importance of a script. It helps you to see the overview of your speech and you can highlight areas of improvement and it does make it easier also for your mentors to understand your topics in a deeper level. You are known for being dramatic in your speeches, for example your WWE act-outs. Aren’t you nervous? Where is there a better place than Toastmasters to express my enthusiasm? I am always the joker in my circle of friends and I can be loud too. Toastmasters is another avenue to make me comfortable and be the person I am. Back in my school days, I used to be involved in drama plays. You are a serial contestant in Speech Contests. What is your motivation for putting yourself through that stress? I join contests for one reason. To see the improvements in myself from before. I encourage members to take part. UBD Toastmasters members have uplifted other members in other clubs in that they are very willing to participate in contest and these are great examples of leadership. Rano uses his influence as a well-known social blogger to contribute to the club’s PR efforts. The late Steve Jobs. He was a charismatic leader and able to grab people’s attention whenever he did a keynote address. He is sorely missed. My goal is simply to continue the journey of Toastmasters and contribute in any way I can for the benefit of members. 2015 is shaping to be another great term.